Published in Fall 2011, The Library of Philip Johnson: Selections from the Glass House is co-authored by Jordan Hruska and Birch Cooper. The 250-page volume contains over 350 photographic illustrations and brief textual analyses of 100 selected volumes from Johnson's study at his storied Glass House home in New Canaan, CT. Robert A.M. Stern writes the book's introduction. 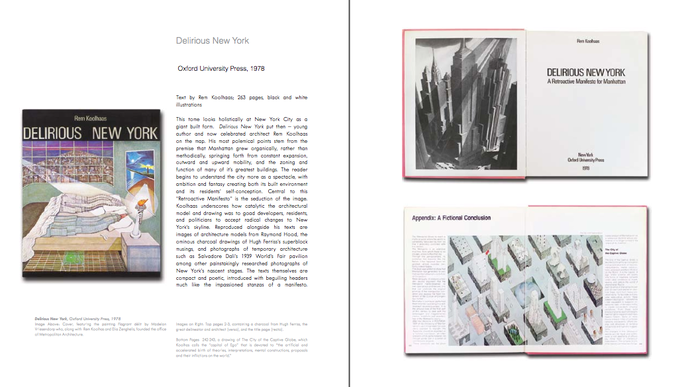 Each selected title includes a photograph of the cover, highlights from the interior, a synopsis of each book's contents with attention to Johnson's marginalia where found, and an analysis of each book's place in architectural history. All proceeds of each book's sale go to help fund and preserve Philip Johnson's library and study at the The Philip Johnson Glass House, a site of the National Trust for Historic Preservation. "This profusely illustrated and annotated documentation of Johnson's library offers a direct view into the furnishing of his mind. This is especially relevant for an architect like Johnson who regarded his work as inspired by centuries of forms and ideas eclectically chosen by him from among the heavily published accumulations of the deep and the recent past. 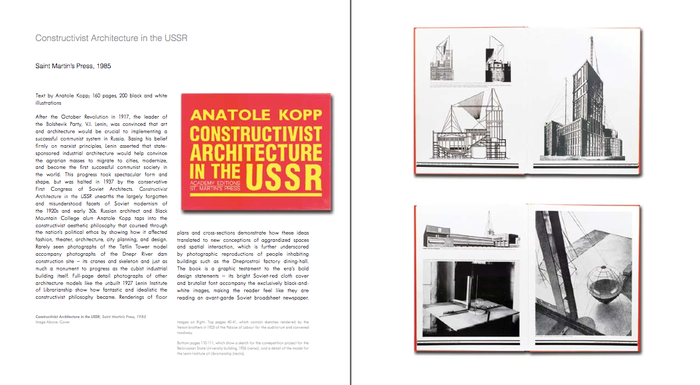 The major images and symbols that shaped his architecture can be found among these pages." - Vincent Scully, Dean of Architecture, Yale. "Philip Johnson's library is as eclectic as his architecture. It is an impressive collection that reflects his wide ranging interest in all aspects of both historical and contemporary architecture. The Library of Philip Johnson is a reference for every architect." - Richard Meier, Architect.